If you’ve grown up in a family with at least one sibling, you know that sibling rivalry does exist. In my case, I grew up with four siblings. And I was the baby. Ahhhh…. the baby of the family. If I had a dollar for every time I heard this said to me in either a derogatory way or with a roll of their eyes, I’d be a millionaire. Well, maybe a thousandaire, but you get the drift. Being the baby of the family apparently afforded me luxuries and perks that I frankly wasn’t aware of. Listening to my siblings over the years, it looks like I escaped the worst of the scolding, spoon and fly-swatterings, and near death experiences that only the eldest seem to have suffered. Of course, this is all tongue-in-cheek. As the youngest of five, I do realize that parenting gets watered down as more kids show up. For our family, it went something like this: The first is the worst… all trial and error here. Experimentation makes experience. Number two comes along, and now there’s some tweaking in the raising of the critters. Mistakes are made, oh sure, but recovery is easier because you have another older child to compare with. Number three is born, and now….now we have things down pat. We have a pecking order, we know what works and what does not, and everyone fits in like a piece of one big puzzle….we can see what the picture is going to be, and it is looking good. But what’s this….a fourth child? What do we do now? The family paradigm has shifted, and we’re just not sure what to make of it. Not to mention that at this point, it’s 3 girls and 1 boy. It’s the 60’s, and we just can’t have that. We need more wangs in the family!! However, here’s the dilemma…do we risk a fifth only to have yet another girl? Will this make our only boy want to play with dolls and dress in dresses? My parents decide to give it another go, to try to stabilize things somewhat. After consulting with the local priest, then the local witchdoctor, and then sacrificing the fourth child’s stuffed bear at midnight of the night of a blood-red moon, love was made, eggs were fertilized, and sure enough, the bun, as they say, was in the oven. As they awaited incubation, they fretted and feared and hoped, imagining all the scenarios, and mentally preparing themselves for what is coming. They were ready. As the baby, and being a boy in a misogynistic world, I may as well have been born a Prince. They decided to name me Gerald after my godfather Bob. My brother Bob was also named after my godfather Bob as well (who’s actual name is Gerald). I’m not really sure about how all this came about, especially since I was christened ‘Gerald William’, and then called ‘Bill’ until the age of 5, when I was changed to Gerald for school, then Gerry later on (it was more ‘hip’), then finally, in grades 10 and beyond, as Bill. This has led to missing school transcripts, mistaken photo labelling in yearbooks, confusion at graduation ceremonies and such, difficulties with old friends on Facebook who are looking for my missing twin, and several border incidents including one painfully long body cavity search that was a LITTLE too personal in my opinion. It lengthened the time it took to get my security clearance for work on the Radars up north too. 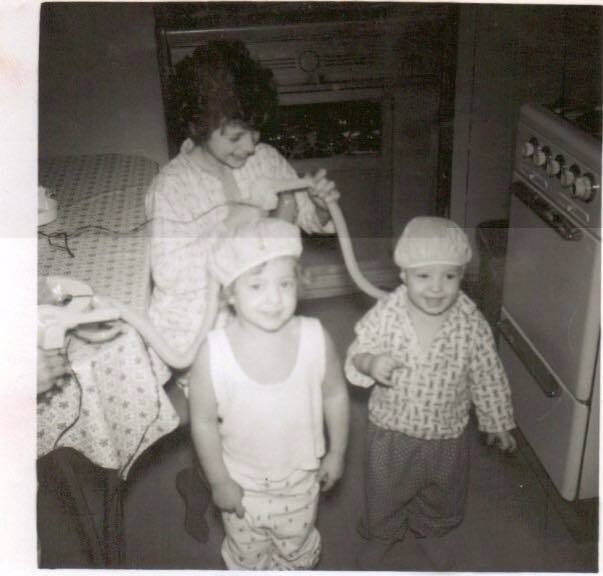 I am relatively certain that I was not the baby of the family that I was supposed to be. I am definitely NOT a bookend. I was a devil, a smartass, a rapscallion, a sweetie, a miscreant, somewhat of an amateur cartographer (that one is for Alex), a party guy, a loner, and a dreamer. It wasn’t my fault that I was born last, so I bear no guilt for whatever happened because of it. That said, the perks I did have due to my position in life were parlayed into a life I love and enjoy. There has been much adventure and ups and downs, as there are in all lives. So….if you are the baby of your family, I sincerely hope you are doing well, and are good to yourself. Don’t listen to the others…..it wasn’t as soft as they say.